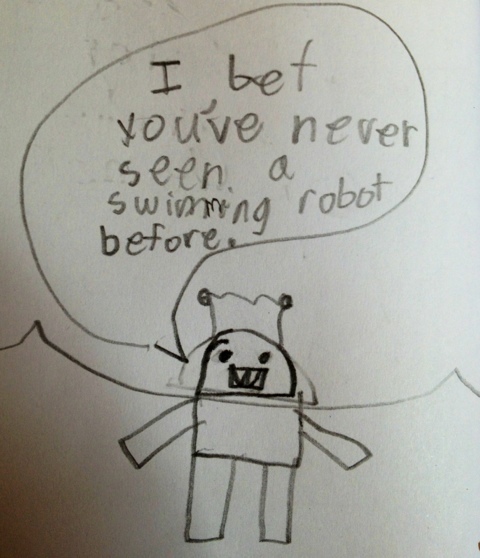 We were going to go surfing, but we realized Robo Bob would stop working in the water. We got him an aqua upgrade. Now he is completely waterproof.